How Clinton donor Rajiv Fernando got a job as a nuclear expert he wasn't qualified for. Hillary Clinton speaks at the Founders Day Dinner on April 2 in Milwaukee. 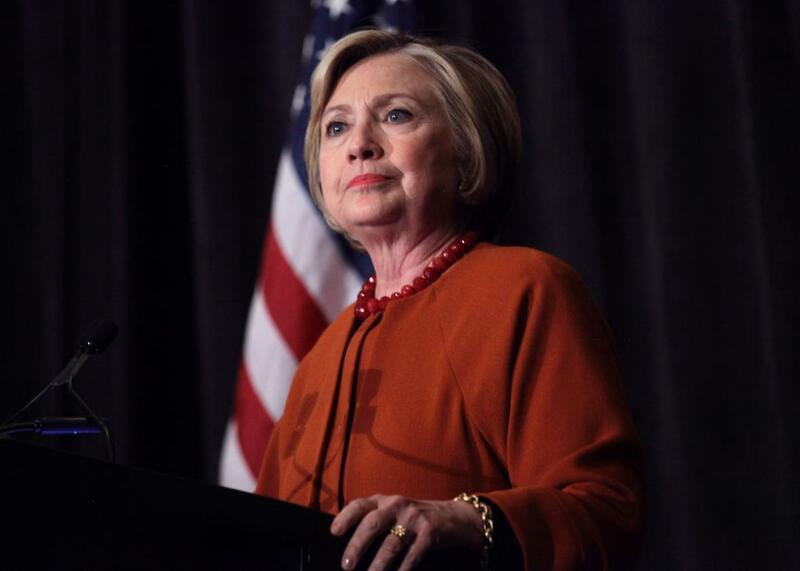 Hillary Clinton had an undeniably great day on Thursday, but Friday brought a stark reminder that as the presumptive Democratic nominee looks ahead to the general election, there will be plenty of people justifiably looking into her past. Politicos rewarding donors is sadly not uncommon but what makes this particular example stand out is Fernando’s lack of qualifications for a job that involved advising the secretary of state—and, by extension, the president of the United States—on the topic of nuclear weapons. And if that weren’t enough, the story also looks an awfully lot like a Clinton Controversy Bingo Card. In addition to the appearance of quid pro quo with a major fundraiser, we also have a clear lack of transparency, Clinton loyalists going to great lengths to protect her, questions over access to sensitive government information, and, of course, Hillary’s private email account. You can read ABC’s full blow-by-blow here, but the short version is this: The rest of the International Security Advisory Board was filled with nuclear scientists, past Cabinet secretaries, and former members of Congress. But the only thing Fernando had to offer the group was, in ABC’s words, “his technological know-how,” which none of his fellow panelists seemed to find all that helpful. Fernando was so out of place, in fact, that one board member told ABC that none of his colleagues could figure out why he was even there. So just how big of a deal is this? In the big bucket of Clinton controversies (both real and imagined), this is merely a drop. Hillary and her staff had broad leeway to name pretty much whomever they wanted to the board, so while tapping Fernando was highly questionable, it wasn’t illegal. It is impossible to read the ABC report and not get a distinct whiff of favor trading, but there is no smoking gun—as there almost never is when it comes to this type of thing. In a political system where the inputs and outputs are both money and power, proof of guilt, or, really, innocence, rarely exists. Still, it’s yet one more example of why Clinton is so fortunate that she’s set to face off against Donald Trump in the general. She and her allies want to make November a referendum about him, which is understandable given he’s a race-baiting demagogue who poses a unique danger to the world. But doing that will also conveniently allow her to skirt legitimate questions about what her past time in office suggests about the type of president she might be.